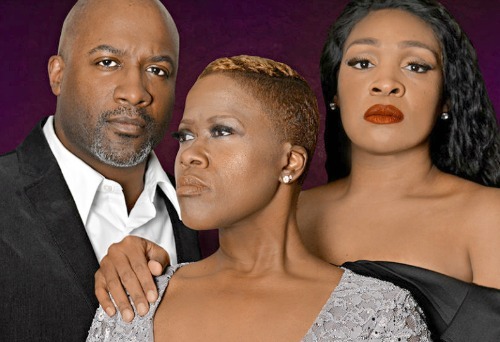 Topping this week’s curated Best Bets column: “The Color Purple” (opening at Actor’s Express), “Sweeney Todd” (heading into its final weekend at The Atlanta Opera) and “The Taming” (still championing America and satire at Synchronicity Theatre). Plus. Much. More. Pictured: Grant Chapman as the title bear in “Winnie-the-Pooh” at the Alliance Theatre. Photo by Greg Mooney. ** INDICATES AN ENCORE ATLANTA SPRING/SUMMER SEASON TOP PICK. ** The Color Purple. OPENS SATURDAY. At Actor’s Express. Alice Walker’s landmark, Pulitzer Prize-winning novel became a musical at Atlanta’s Alliance Theatre in 2004, and then on Broadway in 2005 and 2015. The Express telling hews most closely to the 2015/17 revival. The story follows the hardscrabble journey of a woman in rural Georgia named Celie, who fights adversity and finds strength, love and the power of her own voice over a 40-year span. Atlanta-based actor-director-educator David Koté directs. His cast is led by Latrice Pace as Celie, Jasmyne Hinson as Shug Avery, Kevin Harry as Mister and Kayce Grogan-Wallace as Sophia. $22-$44 and selling well. We hear Week 1 of the run is sold out. Through July 29. Previews at 8 p.m. Thursday-Friday. 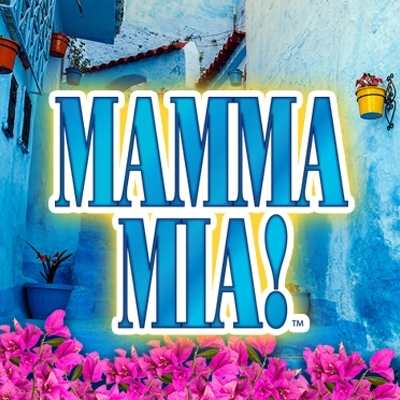 Regularly 8 p.m. Wednesday-Saturday; 2 p.m. Sunday (no show July 4; additional show at 2 p.m. July 7). In the King Plow Arts Center, 887 W. Marietta St. in West Midtown. Details, tickets HERE or at 404.607.7469 (opening-night tickets only available by calling). Discount tickets at PoshDealz.com. ** Sweeney Todd. CLOSES SUNDAY. At The Atlanta Opera. Many experts consider this piece, subtitled The Demon Barber of Fleet Street, Stephen Sondheim’s greatest achievement, one balanced on the precipice of musical theater and American opera. The Grand Guignol revenge story follows Todd, a barber who returns to London after many years away to settle a score, or four, or more. Mrs. Lovett, purveyor of the worst pies in London, becomes his co-conspirator. Baritone Michael Mayes sings Todd. Mezzo-soprano Maria Zifchak sings Mrs. Lovett. God, that’s good! $35-$131. Performances at 8 p.m. Friday-Saturday; and 3 p.m. Sunday. Cobb Energy Performing Arts Centre, 2800 Cobb Galleria Parkway, Atlanta. Details, tickets HERE or at 404.881.8885. ** The Taming. THROUGH JUNE 24. At Synchronicity Theatre. A modern political farce suggested by Shakespeare’s Taming of the Shrew. 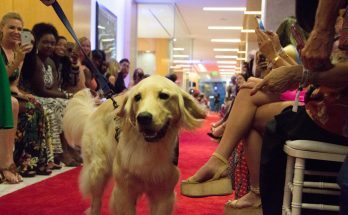 When a conservative senatorial aide, a liberal political activist and a sparkly beauty queen find themselves locked in a hotel room during the Miss America pageant, they might prove to be revolutionary geniuses. The script is from Decatur-born, San Francisco-based writer Lauren Gunderson, the most-frequently-produced playwright in America this season. 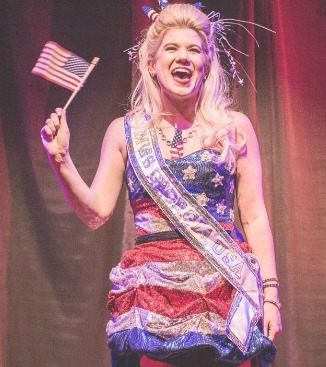 The Taming, critics say, “spanks America’s sound-bite politics with the switch of actual history.” The cast: Caroline Arapoglou, Jimmica Collins and Kelly Criss. 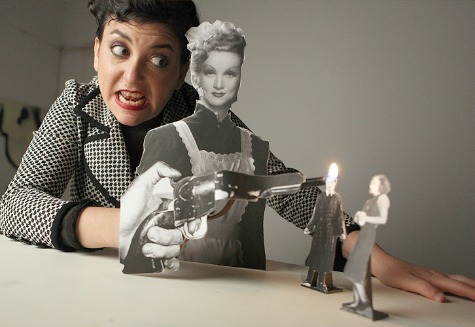 Atlanta theater artist Suehyla El-Attar directs. $23-$41. 8 p.m. Wednesday-Saturday; 5 p.m. Sunday. Synchronicity is in Midtown’s One Peachtree Pointe building, 1545 Peachtree St. NE. Details, tickets HERE or 404.484.8636. ASO in Piedmont Park. 7:30 p.m. Join the Atlanta Symphony Orchestra and assistant conductor Stephen Mulligan for a free concert under the stars. 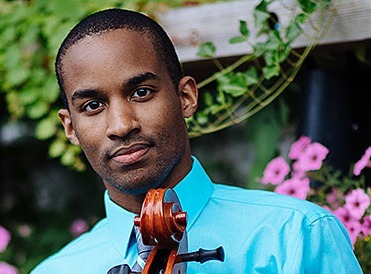 The program: Leonard Bernstein’s Overture to Candide and Symphonic Dances from West Side Story; Tchaikovsky’s Romeo and Juliet Fantasy Overture, plus his Variations on a Rococo Theme, Opus 33 (featuring ASO Talent Development Program alumnus Khari Joyner on cello) and the 1812 Overture, Opus 49. Yes, it’s free and requires no tickets. Admission is first-come, first-served. Piedmont Park is at Monroe Drive and Piedmont Drive (best GPS address: 1320 Monroe Drive — but parking is limited and the ASO recommends alternative transportation). The concert is at Oak Hill, in the park’s southwest corner. For park and concert details, do’s and don’ts, go HERE. Click, Clack, Moo: Cows That Type. THROUGH JULY 29. At the Center for Puppetry Arts. Cows that type? Chickens on strike? Farmer Brown can’t believe what’s happening. Check out his topsy-turvy barnyard in this adaptation (by the Center’s Jon Ludwig and Jason Hines) of the Caldecott Honor-winning children’s book published in 2000. 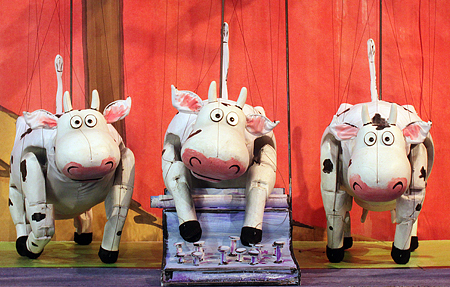 The comedy uses marionette, rod and shadow puppets and is appropriate for age 4 and up. The cast/puppeteers: Dolph Amick, Brian Harrison, Mandy Mitchell, head puppeteer Amy Sweeney and Tim Sweeney. $19.50. 10 a.m. + noon Tuesday-Friday; 11 a.m. + 1 p.m. Saturday; 1 +3 p.m. Sunday. 1404 Spring St. NW. Details, tickets HERE or at 404.873.3391. Freaky Friday. JUNE 20-23. Horizon Theatre at Piedmont Park. When an overworked mother and her teenage daughter magically swap bodies, they have one day to put things right before Mom’s big wedding. The musical is based on the Mary Rodgers novel and the Disney movies. The score comes from Tom Kitt and Brian Yorkey (Next to Normal, If/Then). Director Heidi Cline McKerley’s cast includes Jennifer Alice Acker, Randi Garza, Jill Hames, Abby Holland, Christian Magby and Juan Carlos Unzueta. Free general admission; $15 reserved seating; $35 table seats; private tables for six available. 7:30 nightly. Piedmont Park is at Monroe Drive and Piedmont Drive (best GPS address: 1320 Monroe Drive). Performed in the Promenade area near the Atlanta Botanical Garden and Sage parking garage. Park details and rules HERE. Tickets HERE or at 404.584.7450. Note: If Horizon cancels the show because of rain, you can exchange your ticket for another performance. The Life and Death of King John. OPENS SATURDAY. At the Shakespeare Tavern Playhouse. 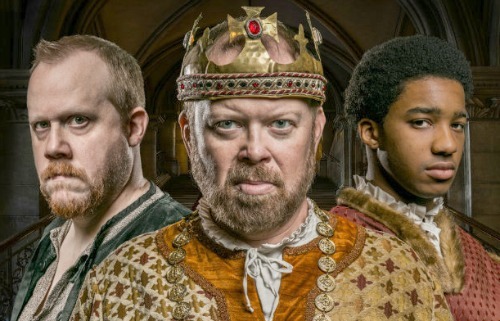 This history play dramatizes King John of England’s 17-year reign (1199-1216). It tells the story of a country questioning how its leaders are chosen and facing an uncertain future with an uncertain leader. It depicts murder, betrayal and religious intolerance at the highest levels of government and questions the reason for, and price of, war. Sounds timely, yes? Troy Willis plays King John. Playhouse artistic director Jeff Watkins directs. Pub menu and libations available. $21-$42 ($15 preview June 14; $20 preview June 15). Through July 1. 7:30 p.m. Thursday-Saturday; 6:30 p.m. Sunday. 499 Peachtree St. NE (parking suggested in the Emory University Hospital Midtown deck across the street). Details, tickets HERE or at 404.874.5299, Ext. 0. Citizens Market. THROUGH JUNE 24. 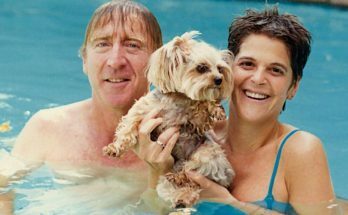 A Southeastern premiere at Horizon Theatre. 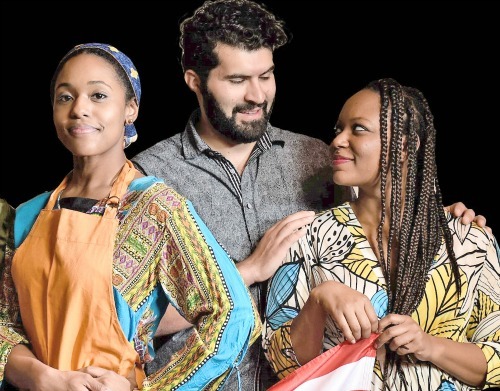 This dramatic rom-com from New York-based playwright/actor Cori Thomas follows a hopeful group of immigrants who form an unlikely family and work to master the ups and downs of language, love and staying afloat in their new world. The cast is noteworthy, especially Atlanta-based actors Cynthia D. Barker, Carolyn Cook and Allan Edwards. Horizon co-artistic director Jeff Adler directs. Suggested for older teens and up (mature language and situations). $25-$45 and up. 8 p.m. Wednesday-Friday; 3 + 8:30 p.m. Saturday; 5 p.m. Sunday. 1083 Austin Ave. at Euclid Avenue NE. Parking is free, with limitations. Details, tickets HERE or at 404.584.7450. Mamma Mia! THROUGH JUNE 24. Aurora Theatre at the Ferst Center for the Arts on the Georgia Tech campus. 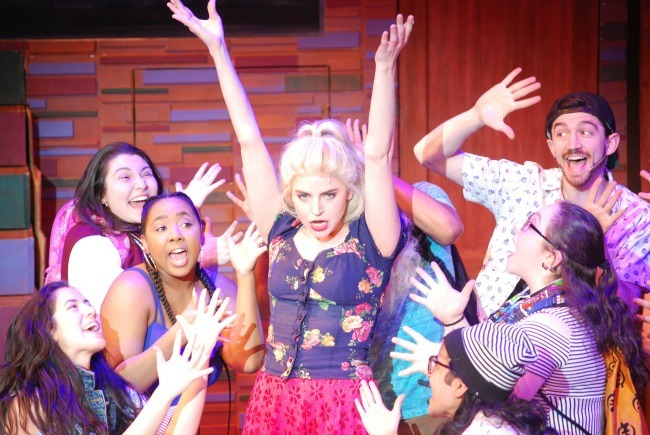 The Lawrenceville playhouse brings its most recent musical intown. The 2001 jukebox tuner built around the ABBA songbook will never be one of the great musicals, but it has a fervid fan base and a devoted ABBA following. The slight story unfolds on a small Greek island where a single mother reunites with old friends, and her daughter tries to discover the identity of her father before she marries. The score includes “Dancing Queen,” “S.O.S.,” “Take a Chance on Me,” plus 19 more. In the Aurora cast: Kristin Markiton as the mom; Terry Henry and Marcie Millard as her friends; Hannah Church as the daughter; Nick Arapoglou as the daughter’s boyfriend, and Greg Frey, Chris Kayser and Travis Smith as the possible dads. $30-$75; VIP tables $85. 8 p.m. Thursday-Friday; 2:30 + 8 p.m. Saturday; 2:30 p.m. Sunday. The Ferst is near the traffic light at Ferst and Regents drives (GPS address: 353 Ferst Drive NW). Tickets + all sorts of details HERE or at 678.226.6222. Discount tickets at PoshDealz.com. A Midsummer Night’s Dream. THROUGH JUNE 23. Does this make anyone think of the late, great Georgia Shakespeare? Midsummer is the inaugural production of Shakespeare Kennesaw, a professional outdoor summer company created by Kennesaw State University’s theater department. The performances take place in the Legacy Gazebo Amphitheatre on campus, which becomes an outdoor Elizabethan playhouse. Much like Theater Emory, this company employs professional actors, KSU faculty and alumni, and the school’s undergraduate intern company. 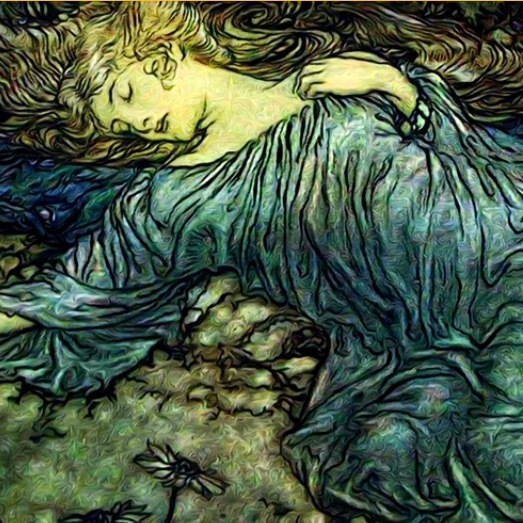 The bard’s comedy features crossed loves, fairy spells and strange transformations. KSU’s Rick Lombardo (Little Shop of Horrors at Actor’s Express) directs. $10-$27; $120 for reserved table seating. 8 p.m. Wednesday-Saturday (play introduction at 7:30 p.m.). KSU is at 1000 Chastain Road in Kennesaw. Venue details HERE. Tickets HERE or at 404.578.6650. Peter Pan. THROUGH AUG. 26. Serenbe Playhouse calls this a “world premiere musical pirate adventure.” If you’re so inclined, sail to the second star on the right and straight on till morning to revisit J.M. Barrie’s 1904 tale about Peter, Tinker Bell, the Lost Boys and Neverland. Complications arise when the Lost Boys get homesick and Captain Hook returns seeking revenge. The story is by Roger Q. Mason, the score by London-trained, New York regular Ella Grace. Michael Alvarez, who works largely in Britain, directs. 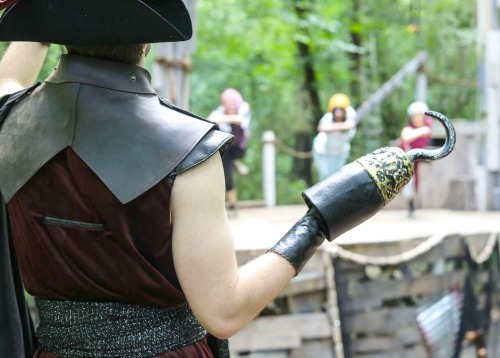 Serenbe, which does outdoor, site-specific shows, sets Peter Pan at the Mado Hideaway at Serenbe. Serenbe shows take place in the woods and require a walk along a wooded (sometimes muddy) path. Appropriate footwear suggested. If you need mobility assistance (parking, accessibility cart, etc.) contact the box office. $13-$30. 11 a.m. Thursday-Saturday; 2 p.m. Sunday. 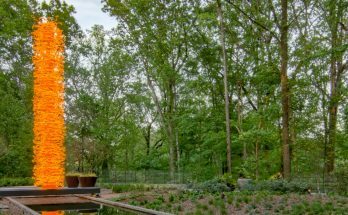 Serenbe is at 9110 Selborne Lane in Chattahoochee Hills. Details, tickets HERE or at 770.463.1110. Discount tickets at PoshDealz.com. Winnie-the-Pooh. THROUGH JULY 8. The Alliance Theatre opens its 50th anniversary season with a family musical based on A.A. Milne’s books. Journey through the Hundred Acre Wood with Pooh, Piglet, Rabbit, Eeyore, Kanga, Roo and Owl as one adventure turns into another and we learn that friendship is the greatest gift and simplicity a virtue beyond measure. The cast includes Atlanta actors Isake Akanke (Synchronicity’s Eclipsed), Grant Chapman (Actor’s Express’ Angels in America), Maria Rodriguez-Sager (Theatrical Outfit’s Christmas at Pemberley) and Joe Sykes (Angels in America), plus child actors Caleb Baumann, CJ Cooper and Mabel Tyler. $15; $10 ages 6-17; $5 ages 3-5; age 2 and under free. 10 + 11:45 a.m. Tuesday-Friday; 10:30 a.m., 1 p.m. + 3:30 p.m. Saturday; and 3 p.m. Sunday. No shows on July 4. Rich Theatre, Woodruff Arts Center, 1280 Peachtree St. NE. Details, tickets HERE. 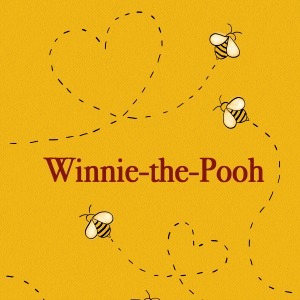 Note: The High Museum of Art runs the exhibition Winnie-the-Pooh: Exploring a Classic through Sept. 2. High details, tickets HERE. For either the musical or the exhibit, call 404.733.5000. Paper Cut. JUNE 21-24. Center for Puppetry Arts. A lonely secretary remains in the office after hours. In her little corner, she escapes into a glamorous world of fantasy created with photos and old film magazines. When her imagination collides with reality, her romantic tale becomes a Hitchcockian nightmare. This internationally acclaimed, one-woman piece by and with Israel’s Yael Rasooly explores the powerful, unpredictable nature of dreams. $30 + $35. For age 15 and up. 8 p.m. Thursday-Saturday; 5 p.m. Sunday. 1404 Spring St. NW. Details, tickets HERE or at 404.873.3391.